Microsoft(s msft) may have finally accomplished something it has failed to do at the last six Consumer Electronics Show events I’ve attended: It has people talking about its phones. Even before Steve Ballmer’s Monday night keynote address, I’m hearing “Windows Phone” in various conversations everywhere I travel. That’s interesting, because on the product side, not that much has been announced, and little of it was unexpected. 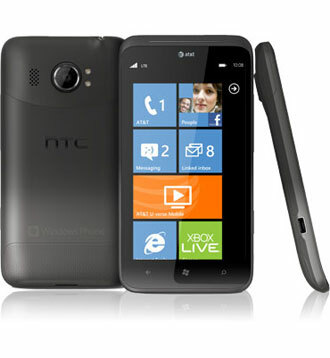 AT&T(s t) will launch the first 4G LTE Windows Phone in the HTC Titan II, while Nokia(s nok) has debuted the Lumia 900 on the same carrier. 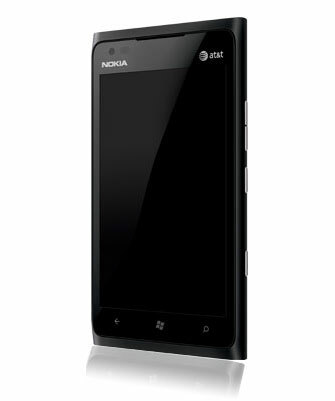 And SlashGear reports Nokia Lumia 800 has a February launch date in the U.S. as an unlocked, full-price phone. So why the buzz? First is Nokia’s involvement; in February of last year, the company ditched its aging Symbian platform in favor of Microsoft’s capable platform. Nokia smartphone sales have sagged and people wondered if this was another exercise in futility. But with its Windows Phone devices, Nokia has picked up not one, but two U.S. carriers for its Lumia handsets: T-Mobile for the 710 (a great little $49 phone I’ve used for the past week) and AT&T for the 900. And now you can’t talk about Nokia without also discussing Microsoft or Windows Phone. From a buzz perspective, it’s a win for both companies, even though pricing and availability details are lacking on the AT&T handsets. Then there’s Windows 8, which I got a good look at during Nvidia’s (s nvda) press event, where a reference design tablet ran Microsoft’s OS on Nvidia’s quad-core Tegra 3 chip. 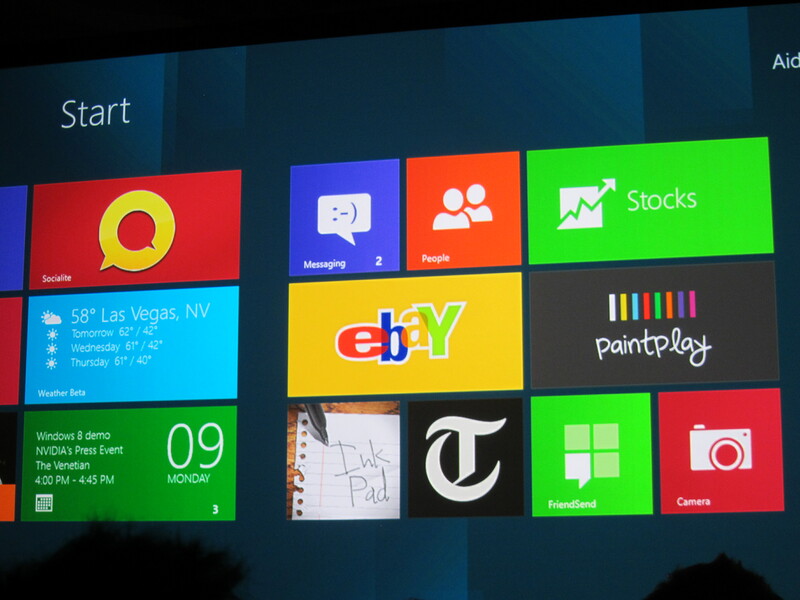 It’s all about the Metro UI, as Ballmer alluded during his speech: Windows Phone and Windows itself will offer a consistent user experience; something that could help sell more handsets, tablets and computers running on Windows in some form. The Metro UI is the lynchpin here. And I’ll admit that its different from iOS and Android, but in a pleasing, almost fun way. Originally, I had my doubts about it, but after the first major software upgrade and the addition of more third-party apps, I’ve found Windows Phone a joy to use. Do Microsoft-powered phones have all of the latest and greatest features found on Android(s goog) or iOS(s aapl) devices? Not yet, but they’re getting there and the functions most users do use are in there. The hardware side of things is starting to catch up with better camera sensors — the Titan II has a 16 megapixel camera — and high-quality, industrial design such as that found in Nokia’s smartphones. In other words, Microsoft’s recipe for Windows Phone success has all of the ingredients in place. Now that they’ve all been cooking the past 18 months, some of the early treats are coming out of the oven. And people here at CES seem hungry for more. In regions like the Middle East and UAE, where the labour laws are weak and heavily loaded towards the employer, Microsoft hires contract workers for years and years and pays them 1/4th of permanent staff and makes them work twice. This would be illegal in much of the Western world. Microsoft, which professes to be the world largest software company making cutting edge software practices the slavery arrangement. I’m sorry. This is the same Play School interface that I designed when I was 14 and using BASIC. I plan to point and laugh if anyone who bought one of these things ever plans to use it in public. If you plan to point and laugh, you’re probably not much older than 14 now. So don’t be sorry. You can’t help yourself.. I love the Nokia Lumia phone.How much will it cost in dollars. This is how the fight will be Apple vs Microsoft vs Google & Nokia vs Samsung again. I was really depressed to see Nokia blowing away from smartphone market. Finally the smartphone wars will be more constructive. Wait, Google & Nokia? That should be Microsoft & Nokia since Nokia uses Windows Phone. Seems like Nokia and Microsoft are helping each other out of the black. I am just waiting for the market to actually Windows 7’s market to mature a bit so that I can too dig into it. This is the beginning of something special…. I’m excited. Android took over the world by offering lots of cheap alternatives to the iPhone. Nothing to do with usability.